John Dingell was the longest-serving congressman ever in U.S. history. There will never be another John Dingell. What a sad statement that is for the country he so loved. Most Americans have never heard of the giant who served in Congress longer than anyone else. And many would scoff that no one should hang on to their seat for 59 years. 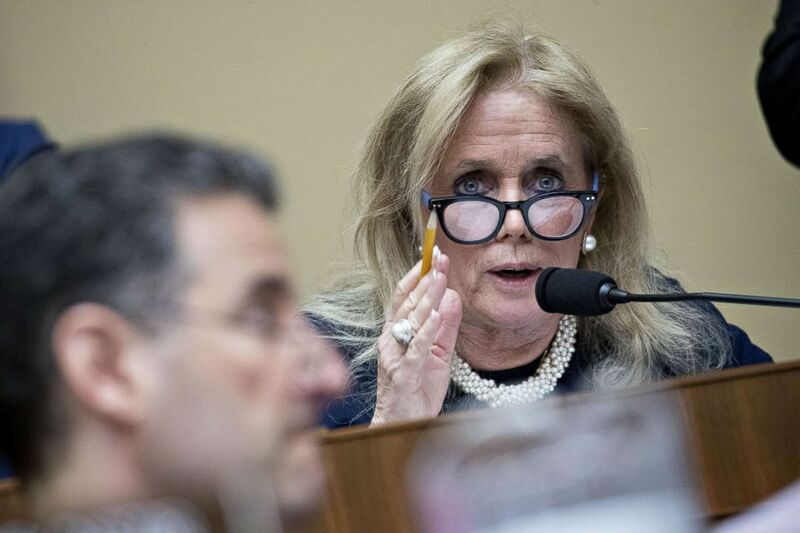 What they don’t know is how much worse off the country would be if Dingell had not been there -- year in and year out -- fighting, sometimes frighteningly, for what he believed was right. I was still a little kid when Dingell went to Congress, but my father had been in Congress for almost a decade by then and my parents had admired the young congressman’s father and made a point of looking out for the junior version. 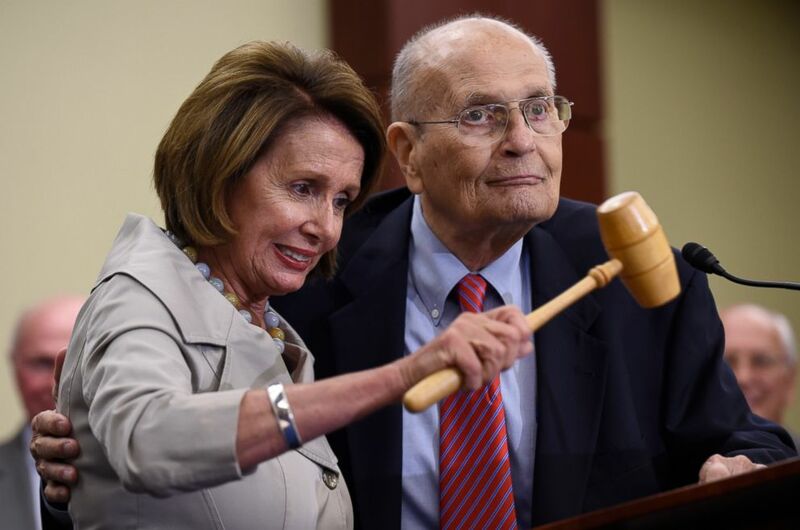 (AP) In this July 29, 2015 file photo, House Minority Leader Nancy Pelosi of Calif., standing with former Rep. John Dingell, D-Mich., holds up the gavel Dingell used 50 years ago when Medicare legislation was passed during an event marking the 50th Anniversary of Medicare and Medicaid on Capitol Hill in Washington. So, I guess I have known him all my life. I can’t remember a time when I didn’t know him. And my mother considered him a pet. That would come as a shock to most of the people who served John Dingell. The imposing, somewhat-scary, chairman of important House committees arrived in Washington as a “congressional brat” when the father he idolized, John Dingell Sr., took his seat representing the Detroit area in 1933. His oldest son and namesake became a congressional page at age 11, running errands for members of the House, overhearing their conversations, marinating in their wisdom -- or lack thereof. With his little brother, John Jr. ran races down the corridors of the House Office Building. He and his buddies shot rats in the basement of the Capitol. Devotion to the institution of Congress, its importance and influence, ran through his veins. But while studying in the school of congressional reality as a page he also received a formal education courtesy of Jesuit priests and he attributed his passion for social justice to their influence along with that of his parents. 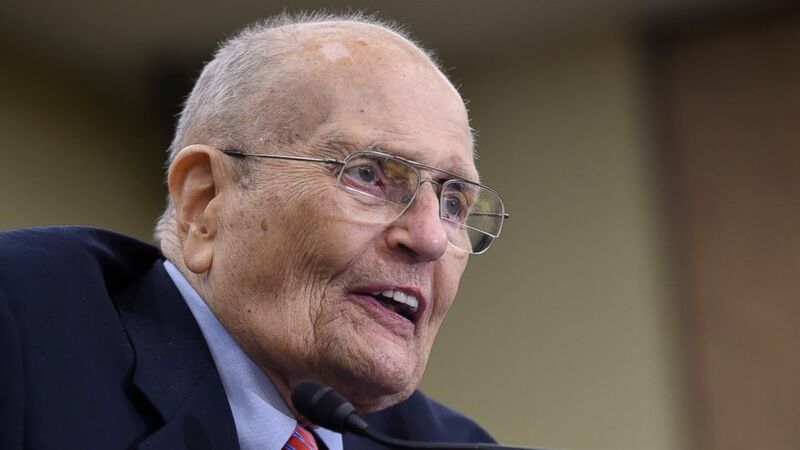 (AP) In this July 29, 2015 file photo, former Rep. John Dingell, D-Mich., speaks at an event marking the 50th Anniversary of Medicare and Medicaid on Capitol Hill in Washington. And, once his father died and he won the congressional seat in 1955, social justice informed his service for those many decades. Dingell’s most enduring passion was health care for all Americans. His father had fought for it and he took up the cause. When Medicare finally passed in 1965, it was John Dingell who presided over the House that day. His imposing figure could be downright scary -- especially when he wielded the gavel over committee hearings uncovering corruption in government or private industry. But he also knew how to charm. That’s why he was so successful in passing environmental legislation, while at the same time diligently defending his hometown industry, the car manufacturers who employed so many of his constituents. An avid hunter beyond his forays into the Capitol basement, he infuriated many gun-control advocates, while winning over liberals with his dedication to civil rights. But his most enduring dedication was to the House of Representatives. He held fervently to the belief that it served as the institution closest to the people, as the Founding Fathers designed it to be. (Andrew Harrer/Bloomberg via Getty Images) Representative Debbie Dingell, a Democrat from Michigan, questions Scott Pruitt, administrator of the Environmental Protection Agency (EPA) during a House Energy and Commerce Subcommittee hearing in Washington, D.C., April 26, 2018. And he used his great power there to try to help the people, working with anyone who agreed with him, regardless of party. When the comity in the House broke down and partisanship became truly vicious, it broke his heart and he decided it really was time to hang it up. But his much-younger and much-beloved wife, “the lovely Deborah” as he always referred to her, had worked with him for so many years that she too came to believe in the House as a sacred place. So there she sits, a very different version of the Dingell clan, but just as fierce in fighting for the social justice her husband so firmly believed was the underpinning of public service. She better be, because John Dingell will be watching.